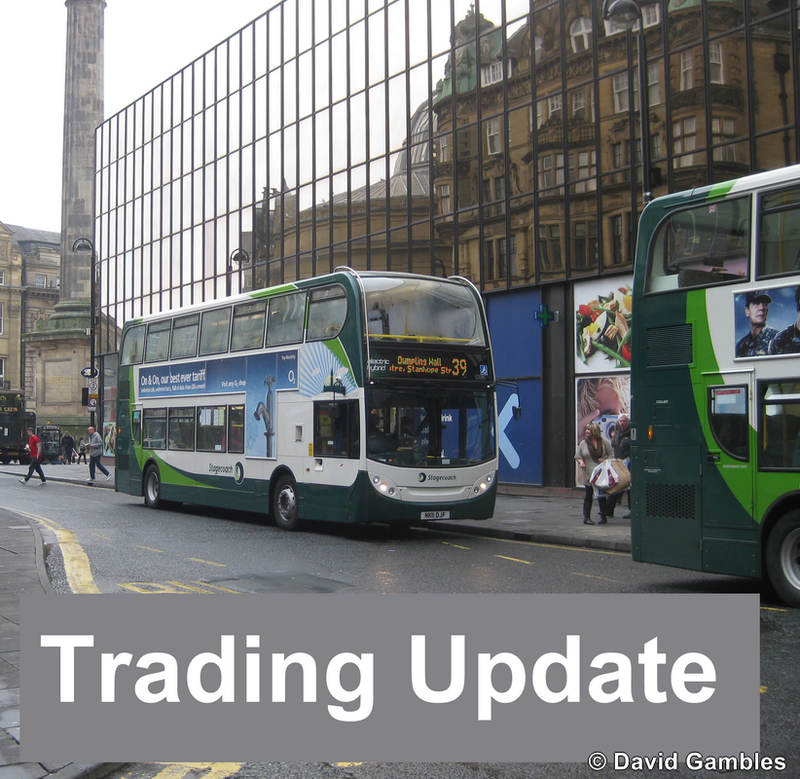 Stagecoach Group plc is today publishing a trading update in advance of a series of meetings with analysts. The overall profitability of the Group has remained good. Like-for-like revenue growth for the financial year to date in each of the Group's main businesses is provided below. 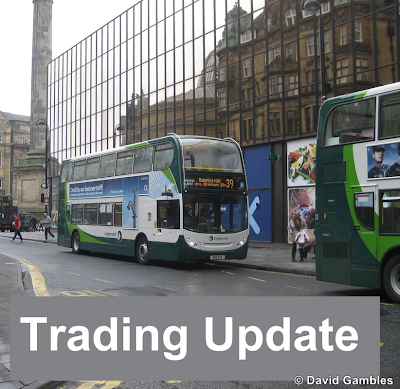 Overall current trading remains good. "We believe the prospects for the Group remain positive and that each of the Group's wholly owned divisions remain well placed to at least maintain their level of operating profit in the year to 30 April 2013". The Group intends to announce its preliminary results for the year to 30 April 2012 on Tuesday 26 June 2012.